Garlic, buttery, no need to add anything to it bread. Great to accompany soup, meats, some sausages, or egg, or really anytime you want to whip up a fresh loaf of bread. 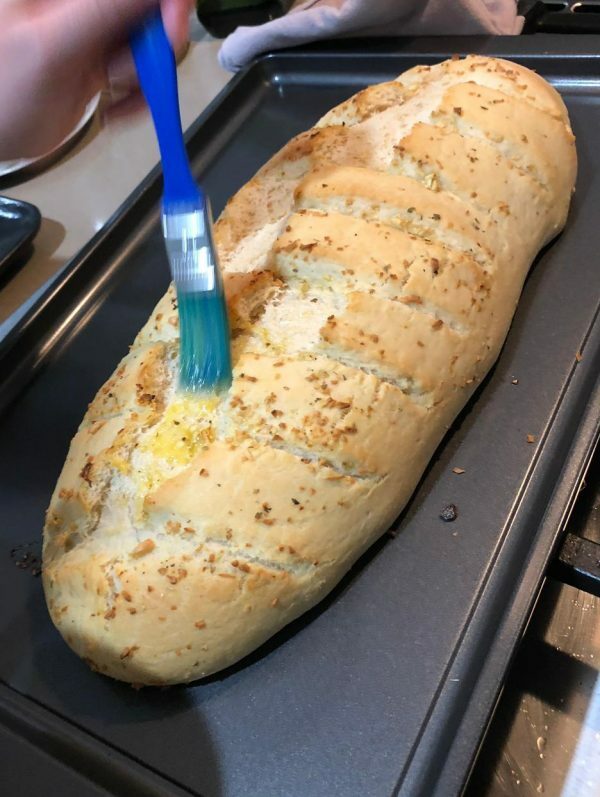 We like garlic, so I've added it to the recipe If you aren't a fan - Don't add it and it becomes a still delicious french loaf type of loaf. Remove from the basin add 3 cups of flour Using the dough hooks mix until will combined and add in half cup increments When the dough starts coming together well, knead with the electric mixer for about 7min Scrap down the sides as it mixes You'll have a smooth looking dough that should feel spongy to the touch. Test it by pressing down on it. Don't poke it! 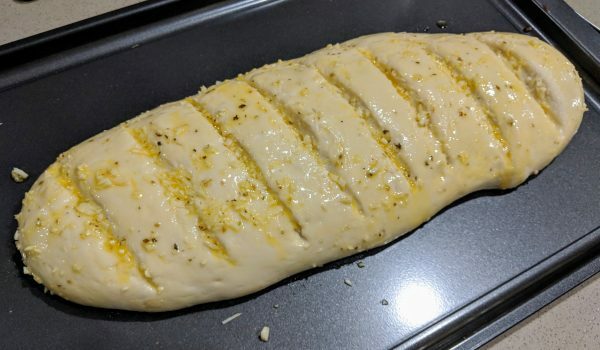 It can be a little sticky, this is ok.
Cut a few diagonal lines across the bread till about half way in Melt some butter and add fresh garlic and oregano Brush it with this mix and bake for 20min It should be golden brown and soft on the inside.